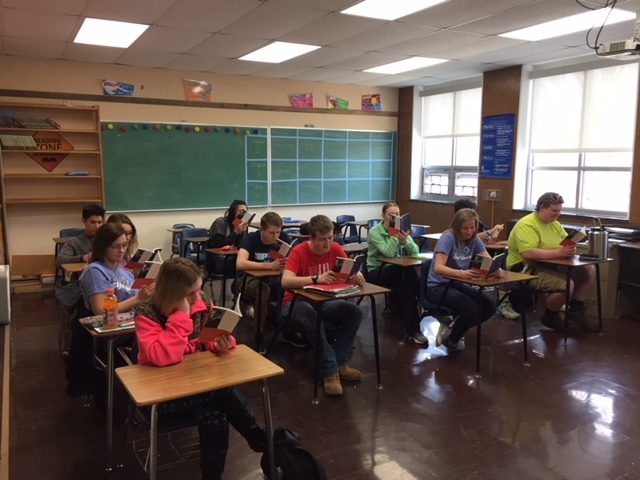 Sophomores and juniors at Cissna Park High School were able to enjoy new novels during their English 2 and 3 classes this semester thanks to the support from the Cissna Park Education Foundation. The sophomore class was able to add William Golding’s novel The Lord of the Flies to their curriculum for the first time this year. This novel allowed students to better relate to the curriculum as the characters featured are around their same age. The Lord of the Flies also allowed students to demonstrate their creativity and life survival skills by developing and analyzing various methods they would use to survive in a tragic event that left them stranded, just as the characters had to do. The junior class was able to study a true American classic novel, The Great Gatsby. This novel focuses on characters from different social classes who all try to attain the American Dream, but are mainly unsuccessful. This novel also provides students with a variety of symbols and themes to track their development and significance. Overall, students were able to develop their critical reading and analytical thinking skills with the addition of these two novels in the English curriculum.